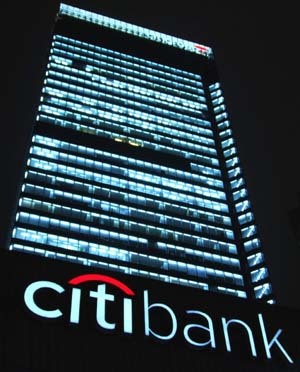 Citibank iPhone app security flaw exposed. Users asked to update app immediately. Are you a Citigroup mobile banking customer? If you answered yes, rush to your iPhone and update your Citi Mobile iPhone app as soon as possible. According to a report in the Wall Street Journal, Citigroup has informed its mobile banking customers in the U.S. that the original version of their Citi Mobile iPhone app has a security flaw. The Citi Mobile app, the 11th most popular app in the finance category of Apple’s App Store, allows customers to check balances, transfer funds and pay bills. The app “accidentally” saved personal account information in a hidden file on users’ iPhones, which includes sensitive information such as account numbers, bill payments and security access codes. To make matters worse, the information may also be stored on the user’s computer if the iPhone was synced with a PC. According to the report, Citi said it doesn’t believe the data was breached and said its new app corrects the problem. “We have no reason to believe that our customers’ personal information has been accessed or used inappropriately by anyone,” Citi said. The security issue was discovered during a test of the app, and upon discovering the issue, Citi notified customers of the flaw in a letter dated July 20. Fortunately for customers, the Citi iPhone app for credit card customers was not affected. Did you receive notice of the issue and have you updated your iPhone app?